We’re pleased to announce that, in association with the Ironbridge Gorge Museum, a full-size working replica of the first railway locomotive in the world, the Trevithick 1802 Coalbrookdale Replica Locomotive, will be at this year’s Shrewsbury Steam Rally. 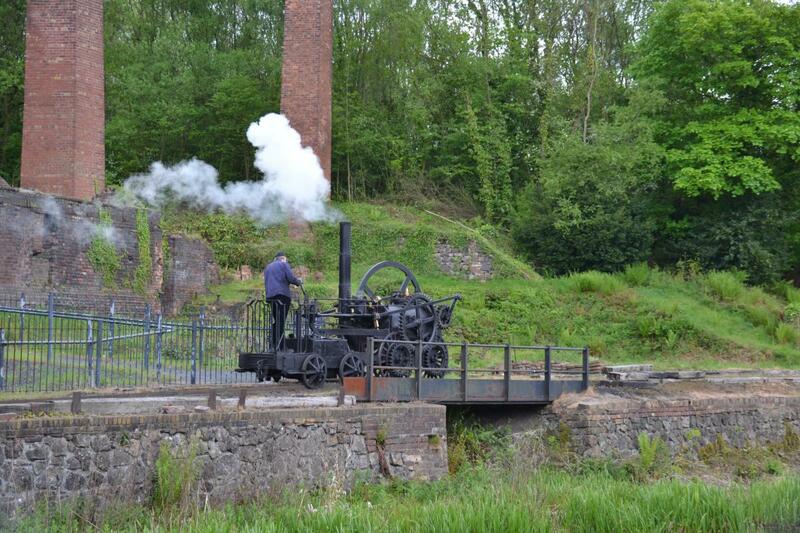 Richard Trevithick was a Cornish engineer who had been at odds with James Watt for many years as Mr Watt insisted that ‘strong steam’, or as we call it, ‘high-pressure steam’ was extremely dangerous. James Watt had taken out many patents on all aspects of steam engines to prevent others even experimenting. 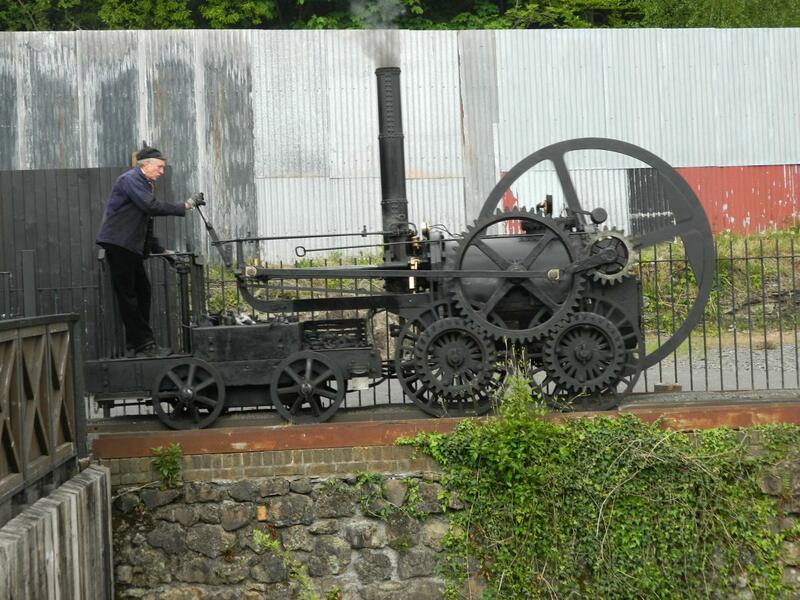 However, Trevithick and one or two men (even one of Watt’s staff) had been working on small high-pressure steam engines for pumping water and road steam engines. This top-secret work had to take place under cover of darkness at times. In 1801 when Watts’ patents finally ran out Richard Trevithick took up the challenge in the form of two road vehicles, but with only limited success due to the state of the roads. 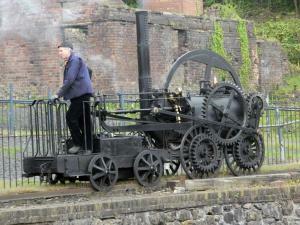 So in 1802 he decided the future for his new steam engine would be in railways. In 1989 GKN Sankey in association with The National Vulcan Insurance Company had the idea to build a replica of this historic locomotive. They had very little to work from, only the letters from Trevithick himself and a drawing held by what was the original patents office in London. 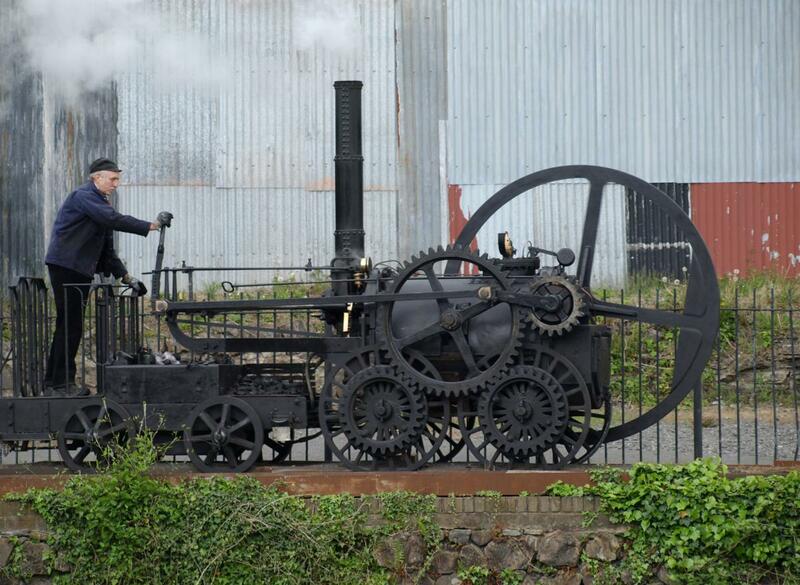 The team spent a lot of time working out the size and exact form of this 3-foot gauge locomotive. They had to also build a machine that conformed to modern safety standards. It was assembled by a team of nine apprentices and was later donated to the museum on the 18th of July 1990. It has since never travelled from the Ironbridge area as it runs on flangeway rather than normal rail track.